イラスト素材: Modern Fridge Freezer refrigerator. 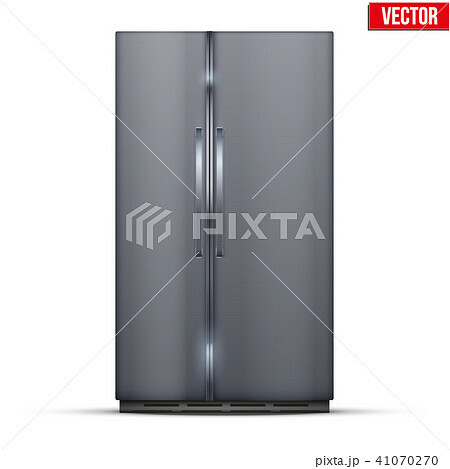 Modern Fridge Freezer refrigerator with double doors in silver color. Household tech and appliances. Vector Illustration isolated on white background.